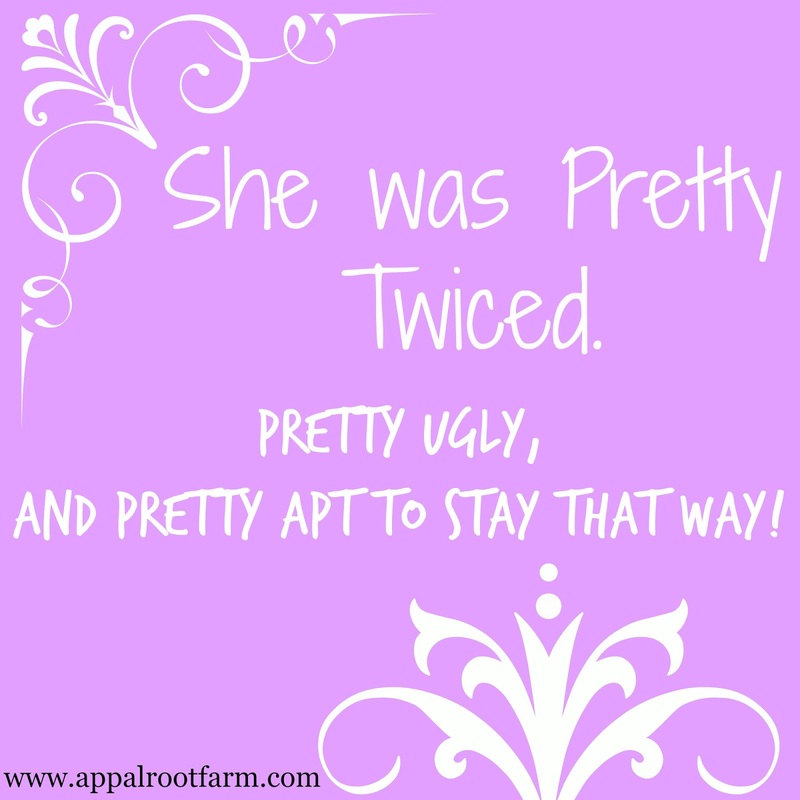 Appalroot Farm: What I Wouldn't Give for Another Taste of That Old Well Water! What I Wouldn't Give for Another Taste of That Old Well Water! A rain crow was crying out in our yard the other evening and I remarked to City Boy that some rain was surely on its way within a day or two. He, however, informed me that rain was not in the forecast for several days. But since my mother and father have always said you could rely on the call of a rain crow more than you could the weatherman to predict whether you would need an umbrella, I insisted that we would soon see some rain. 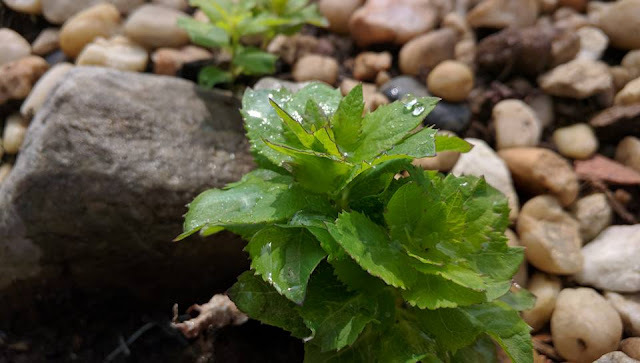 But I was beginning to think I might have to eat my words until I was headed to bed yesterday evening and passed an open window....and there it was, the unmistakably sweet smell of fresh fallen rain! It wasn't much...just enough to dampen the ground, but it was rain nonetheless. Now I know we are supposed to be humble, but I couldn't help but do a little victory "dance" and informed City Boy that when some old timers from the hills, like my mom and dad, give you advice about predicting weather it sure pays to listen! City Boy's response was, "You're cute." Not sure how sincere he was about my looks in that moment though. Teehee! May have been similar to one of my great grandpappy's sayings... 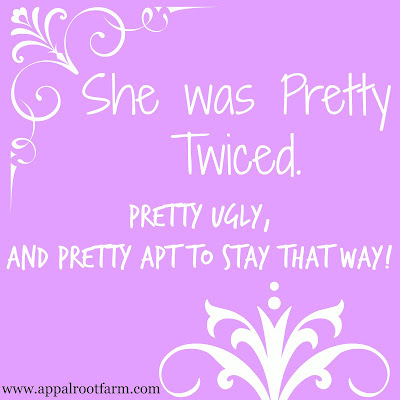 He was another old timer from the hills of East Kentucky and was known to jokingly say, "She was pretty twiced. Pretty ugly, and pretty apt to stay that way!" All this talk of rain crows and rain has got me to thinking about water from another source...my beloved grandparents' old water well. I have some awfully vivid childhood memories of that old well on my mamaw and papaw's Eastern Kentucky farm. 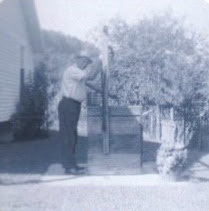 The well is just a few feet from the house, so when we took trips back to Kentucky, I was always running around it when playing in mamaw and papaw's yard. Its thick block walls created the perfect spot for hide and seek games played on hot summer days with siblings and cousins. We were always told to be careful around the well...but that never stopped us from peering down into its rough, rock lined depths. Sometimes the water was high, and sometimes low--but the sides always had tiny little water seeking plants scattered about the stacked rock interior. To a child, the well seemed like something fresh from a fairy tale, straight from another time and place. But all fairy tales and fun childish games of hide and go seek aside, the most vivid memory of the well I have is the unforgettable taste of its water! You might think I'm going to wax and wane about how good that well water tasted...but that's just simply not the case! It had a powerful flavor...somewhat of a cross between metal and earth, amped up several notches. If you were really thirsty, it was tolerable. But if you just needed to wet your whistle slightly, it was something you weighed and pondered over quite a bit as a kid...was the resulting quench really worth the effort of getting it down? I eventually adopted the habit of holding my nose as I gulped down a cupful of the stuff. Even the act of brushing my teeth at Mamaw and Papaw's was a feat of breath holding capabilities. And I think I actually wondered a time or two if I would come out of the bathwater smelling like that old well water! But despite my childhood dislike of the old well's water, I sure would give a lot if I could have just one more cupful of it today! The well is still there on the farm, but some years ago, the entire area got city water piped in...and I've been drinking pristine, clear tasting water when I've visited my grandparents' farm ever since. Funny thing is, now I miss the uniqueness of the water from that well. The fact that the water was so intrinsically entwined with a place and a time that holds some of the best childhood memories I have, makes me so nostalgic for it. Kind of like the old saying, "You don't miss your water 'til the well runs dry!" You know they say scent and taste are amazing memory triggers. Oh, I know a cupful of that stuff could never bring my grandparents back. 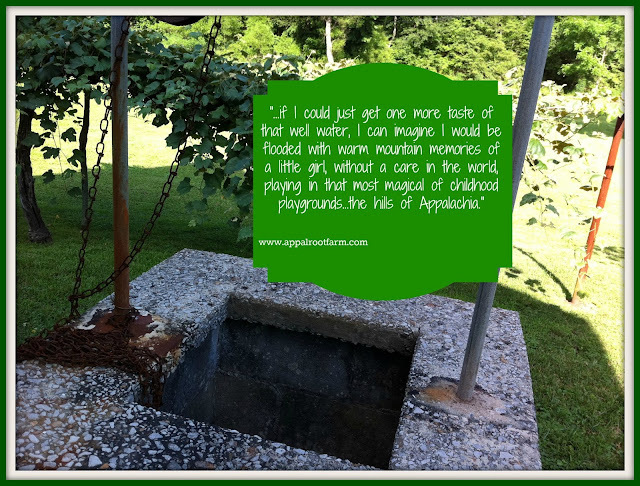 But if I could just get one more taste of that well water I can imagine I would be flooded with warm mountain memories of a little girl, without a care in the world, playing in that most magical of childhood playgrounds...the hills of Appalachia. If I had a cupful today, I don't even believe I'd hold my nose! Blessings to you and yours! See you all back here soon. I did think you were going to speak of the great taste of the water LOL : ) I wish you could taste it one more time too. I'm glad you've got those wonderful memories! 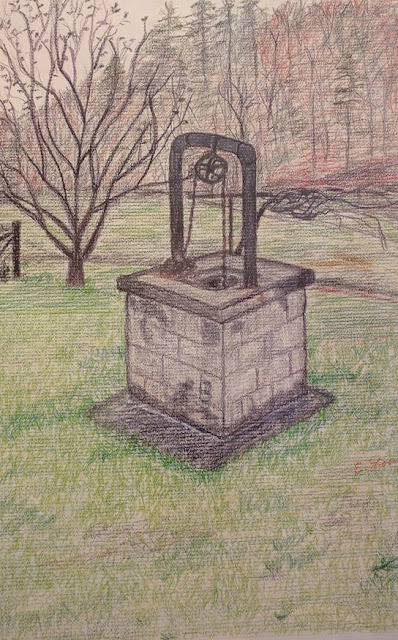 I remember the well at the side of our house in Eastern Ky when I was a little girl. Drinking the cold, sweet water from a tin ladle out of a bucket was so refreshing. I grew up with well water in Ohio and I drink it now from our home in Virginia but I remember that the well water in Ky tasted so much better. Yep. Just like my gramma's in Iowa. So iron-ish it tasted like blood.